In the absence of any real inspiration from the books I have read recently, and as my blog is so new to the world, I decided that I fancied 'reviewing' a favourite of mine. 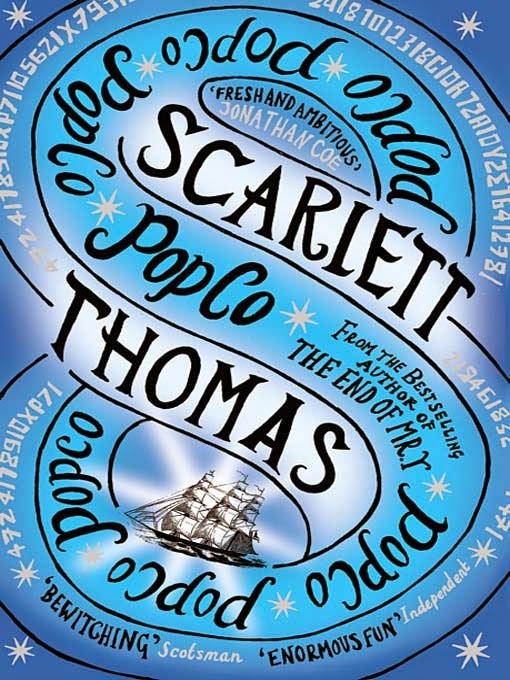 It is difficult to explain why I adore Scarlett Thomas' books so much, though as I read one of them (any one of them), I have the overwhelming feeling that this is THE book I would write if I could. It is a very personal, emotional feeling which I hope everyone can feel when reading the books of at least one author. I chose 'PopCo' to review, rather than any of her other novels, as the protagonist is the most like myself than in any other. I definitely get the feeling that in Scarlett Thomas' early works, particularly the Lily Pascale series, the protagonist is portrayed idealistically, and how I would want to be, rather than as a version of how I really am. I can only assume this is the same for the author, as her confidence as a person and author increased and she strayed away from idealistic characters and genre fiction. 'PopCo' and 'The End of Mr. Y', my favourites, fall somewhere in between genre fiction and pure literature. Original, thought provoking, fantastical stories, backed up by authentic, memorable prose - perfect. I feel like I am doing a disservice to 'PopCo' by boiling it down to a few sentences, but I will try for posterity. A girl (me), who likes to be solitary and hates being touched by strangers, is taking part in a team building retreat with her colleagues from the toy company PopCo. She misses the simple life she once had with her mathematically-minded grandparents, and tires of her shallow, fashion-concious colleagues, all the time seeking a life of worth and meaning. The fantastical twist - she wears a locket around her neck, a locket with a secret code, and when someone starts to contact her using one of her cipher's, things get really.....interesting. The parts of the book I identified with, and enjoyed, the most were the snippets of the protagonists (my) childhood. That awful high school society, and the sickening feeling of wanting to both watch cartoons in bed with a hot chocolate, and also be super popular and fashionable and not be the most disposable member of the gang - this is all portrayed so painfully accurately. Despite this I still felt comfortable in the little girls world, because she was 'one of us', and never becomes 'one of them', she has the strength of character you would want your daughter to have in the grim hallways of high school. The book also has both satisfying character development and an equally satisfying ending, something which modern literature can sometimes lack as it is 'too obvious and contrived'. Read this book if: you strive not to conform/you are a woman aged 25-35/if you look back on your grim teenage years in a mist of nostalgia/if genre fiction sometimes bores you/if you have strong ethics (even if you struggle to keep them)/if you like a strong female protagonist in your books/if your work colleagues makes your eyes roll.